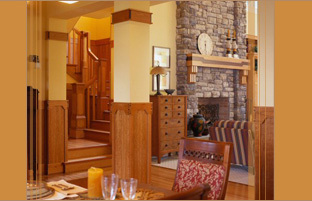 In the hardwood flooring industry most transition and moulding manufacturers take the easy road in material production. Using the adage “it’s within industry standard”, they cut corners by using generic profiles that are not a good match to the tongue and groove, a single species to “BLEND” with several others, or a stain color that is “SIMILAR” to many. This happens even with companies that claim that they use the exact species or color. Millwork Concepts does not follow this “industry standard”. We know that our customers want their product manufactured to their “EXACT” specifications, not ours. We can match ANY flooring manufacturer profile, tongue and groove, color and species. We also know that products that match eliminate call backs, saving you time and money. Presently, we have colored and species matched most every hardwood floor manufacturers’ product available on the market. Should we not have your floor matched, all we require is 4 or 5 pieces of the product, showing the range of color and character, and we will match it within days using our state of the art stain matching process. Millwork Concepts also knows that increasing your profit on every sale is of utmost importance, and to this end we are the only major manufacturer in the industry that supplies matching prefinished vents and stair parts, or that will handscrape or distress components to match the floor “EXACTLY” so that you can be the TOTAL solution for your customer. Click here to learn more about stair parts and vents.